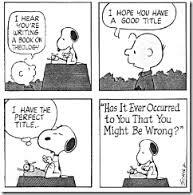 See, even Snoopy does theology. At first blush, that sounds like a grand, magnificent, heavy, and “meta” question. And it can be. For those who love it, the practice, discipline, and joy that is the study of theology requires and calls forth numerous complementary (and contradictory) explanations of just what we think we’re doing when we study and write “theology”–which is valid, and none of which could possibly be the last word on the subject. I myself have spent a decent bit of my time thinking and reading about over the last few years and I don’t think I’ll ever tire of it. It’s kind of like philosophy that way. That said, in another sense, the practice of theology is quite straightforward and it’s a shame that so many people feel intimidated away from engaging it just at the sound of the word. It’s my conviction that because all of life has to do with God, to some degree every Christian should be trying to think theologically about life at some level. What I want to put forward very simple (and hopefully helpful) definition of theology for those who seem to be scared off by the very thought of engaging in such an “exalted” task. To do so, I’d like to rip off Alvin Plantinga. This book discusses and exemplifies the philosophy of religion, or philosophical reflection on central themes of religion. Philosophical reflection (which is not much different from just thinking hard) on these themes has a long history: it dates back at least as far as the fifth century B.C. when some of the Greeks thought long and hard about the religion they had received from their ancestors. In the Christian era such philosophical reflection begins in the first or second century with the early church fathers, or “Patristics” as they are often called; it has continued ever since. Did you catch that? Plantinga defines philosophical reflection as “not much different from just thinking hard” about some theme. And honestly, that seems about right. This isn’t overly technical. Nor do I think it’s very scary. But in a pinch it gets to the heart of what theology is all about. First, Christian theology is clearly a human practice. Even though we’re thinking about God, thinking hard is still something people do. There’s no escaping the human character of theology. Second, and this should be obvious, it’s a matter of thinking hard. While theology should involve prayer and practice, you inevitably have to use the mind God gave you to engage in theology. What’s more, you have to really use it. So, while I do think everybody should try to think theologically, don’t take that to mean that it’s obvious, or easy all the time. It’s not. But then again, what is there that’s truly worth doing that doesn’t involve some effort? Finally, and most importantly, Christian theology is rooted in divine revelation. The main thing that separates Christian theology from pure philosophy is that the Christian theologian doesn’t just think hard about “God” in general, or based on their own experiences, perceptions, and so forth. Christian theologians think hard about what the Triune God of the covenant has already told us about himself. The good news is that God has spoken, so we don’t have to figure everything out on our own. Now, different Christian traditions will then argue about the priority of the Bible in that revelation, the teaching of the Church, or how much principles of human thought drawn from outside ought to contribute to our theological reflection. As a Protestant, I’m going to do my best to give primacy and finality to the Bible. Still, at the end of the day, if a theology is going to properly claim the name ‘Christian’, it’s going to start with revelation and then work from there. The main test of theology is not how it makes us feel, nor how hip, interesting, or relevant it is to modern concerns, but how well it matches up with what God has revealed. So what are you waiting for? Grab your Bible, get to reading, and get to thinking. ← Does Discussing the One God Before the Triune God Distort our View of God? I’m on my phone so this is necessarily brief, but a fourth item should be: (4) theology is thinking hard *responsibly*. Ha! True. I tend to fold that into the fact that it’s a response to God’s revelation, but that really ought to be emphasized. Unfortunately, though it should be emphasized, it seems to be anathema in our twitter-theology, eh? what God thinks about us. To think hard, aided by the Holy Spirit, about what God reveals about everything.